As the city gears up for the 24th Dubai Shopping Festival (DSF), Meraas destinations - City Walk, The Beach, Boxpark, The Outlet Village, Kite Beach, Al Seef, and La Mer have a host of experiences for visitors, which extends beyond shopping. From fireworks to themed marching bands every Meraas destination has an exciting line-up of activities to regale visitors from 26 December 2018 to 2 February 2019, in partnership with Dubai Festivals and Retail Establishment (DFRE). 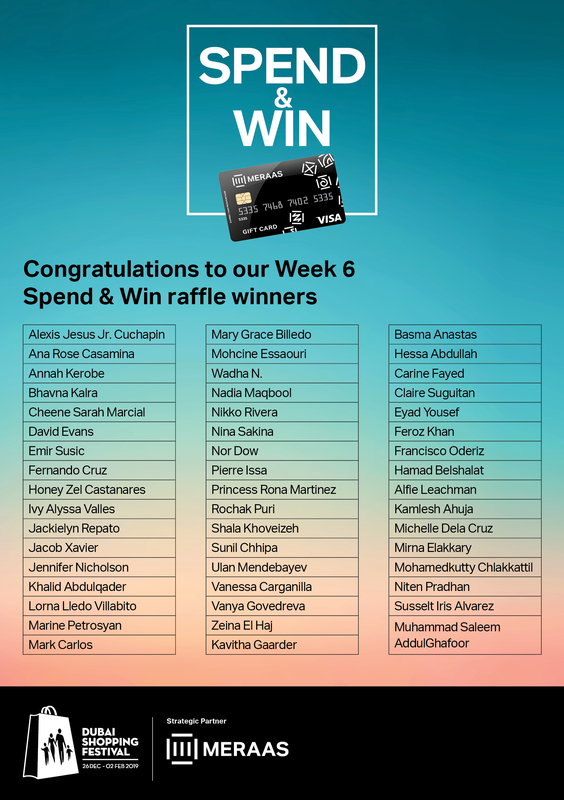 In addition, visitors can participate in weekly raffle draws on every spend of AED200 and above, where 200 winners stand to win up to one million Dirhams over a six-week period. The Outlet Village will launch ‘Fashion Comes Alive’, an interactive fashion event from 3 January to 2 February. Directed by Michael Amazona Del Mar, it will include exclusive makeovers, virtual style pods, mirror photo booths, free makeup sessions, pop-up stores and instant cover shoots opportunities to engage all visitors.